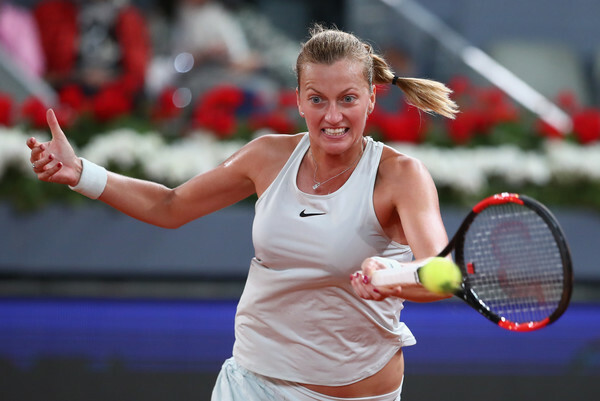 It was an impressive and tireless performance from Petra Kvitova as she extended her winning streak to 11 with a 171-minute win over Kiki Bertens in the final of the Mutua Madrid Open. 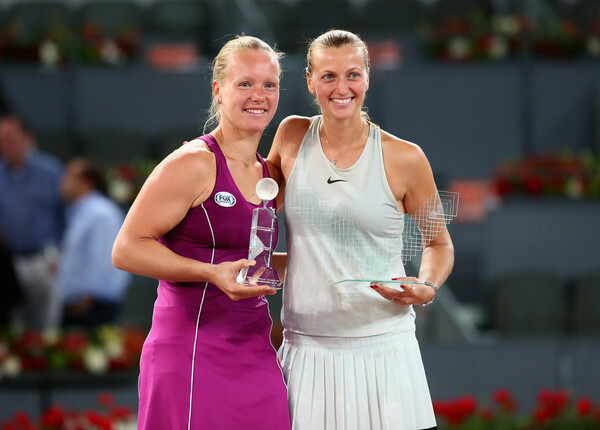 Petra Kvitova just could not be stopped in 2018, as she defeated world number 20 Kiki Bertens in a thrilling Mutua Madrid Open final with a titanic 7-6, 4-6, 6-3 scoreline after a marathon two-hours and 51-minutes. Interestingly, their previous meeting at Wimbledon only took 35 minutes to complete. The Czech committed 58 errors but 39 winners were enough to help her triumph in Madrid as she fended off the tough resistance of the Dutch, who put in a stunning performance as well. This is Kvitova’s tour-leading fourth title of the year, having triumphed in St. Petersburg, Doha, and Prague before this week. Furthermore, the world number 10, who will rise to the eighth position on Monday, became the first-ever female player to hoist the title thrice in Madrid. Bertens, with her stunning run which involved wins over Anastasija Sevastova, Caroline Wozniacki, Maria Sharapova, and Caroline Garcia, will rise to a new career-high ranking of 15, proving her dark horse credentials for Roland Garros. Both players started the match in some lackluster fashion, with unforced errors dominating the rallies as they exchanged break points in the early stages. It was Kvitova who almost drew the first blood but failed to pounce on her chances as Bertens sent in some formidable serves to get on board. The Dutch was also put in the exact same situation as the Czech, earning two break points but Kvitova fended them off with her solid serving. Kvitova’s forehands were just too good once more, helping her claim a couple of break points in the fifth game but Bertens stepped up her play, coming up with some impressive shots like a drop shot-volley combination to save them. Certainly, the missed opportunities affected Kvitova mentally and started to be passive and erratic. After six wasted break points by both players, it was Bertens who finally made the first breakthrough as she opened up a commanding 4-2 lead. A futile drop shot attempt saw Bertens missing out on game point, and it definitely proved pivotal as it paved the way for Kvitova to break straight back. The scores were then leveled at 4-4 with another service winner, though she had to fend off a break point in the process. Ultimately, the set was brought into a tiebreak to decide its winner. 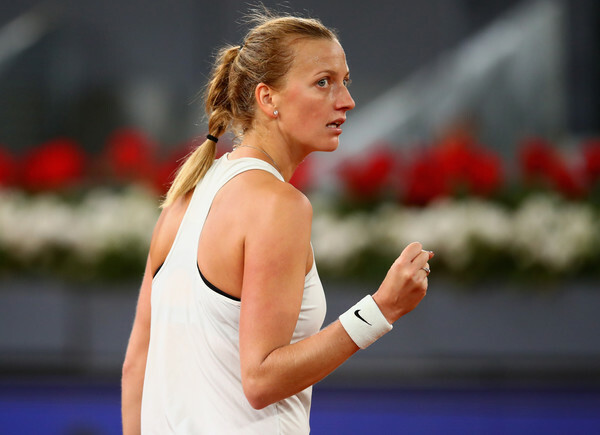 The tiebreak was dominated by countless mini-breaks, though eventually, it was Kvitova who had the last laugh, earning two set points at 6-4 up. Tight forehand errors followed as Bertens found herself back level, leaving the proceedings wide open once more. World-class baseline rallies were the highlights of the tiebreak, with Kvitova grabbing the initiative and charged towards the net to finish off the point, ultimately taking the first set 7-6 after a marathon 75 minutes of play. Thought to fade away after the mentally and physically draining opening set, Bertens was determined to prove everyone wrong and put in a tough fight in her first-ever Premier Mandatory final, the biggest of her career. Things were simpler and more straightforward in the second set as Kvitova lacked the intensity in her game, opening the door for Bertens to level the scores. A spirited service hold from the world number 10 saw her saving two break points in the fifth game, tightly holding onto her serve. It was an incoming onslaught from the Dutch as the surprise finalist played well above her ranking, taking advantage of some loose errors as she finally stepped up to the occasion, making the first breakthrough to open a 5-3 lead. Looking formidable and unstoppable on serve, Bertens comfortably served out the second set 6-4 and sent the match into a deciding set after an hour and 58-minutes. All the momentum was with Bertens and things started to be worrying for Kvitova, who could not seem to find her range. Nonetheless, her never-say-die attitude paid off, with a stunning volley winner sealing the nervy opening game for her. Another lengthy game followed, while this time the server survived the huge scare once more as Bertens let out a huge “come on” after Kvitova sent a forehand long. A series of service holds followed, though it was until the sixth game when another break point surfaced. An impressive forehand winner got Kvitova pumped up, and Bertens certainly got affected in her mind with the Czech’s roar being too formidable. She then, unfortunately, sent in a double-fault, gifting Kvitova a 4-2 lead in the decider. Nonetheless, it was a great response for Bertens as her drop shots finally started to work in the times of need, and Kvitova’s previous efforts were all in vain as the Dutch was simply too good, immediately breaking back to return on serve. Unbelievably, there was a third consecutive break despite Kvitova looking tired and running out of energy. She was leaving her heart on the court, and yet another tight backhand error from Bertens gifted Kvitova the golden opportunity to serve out the encounter. This time around, an impressive love service hold finally sealed the marathon win for the world number 10, finishing the match on a Bertens error.